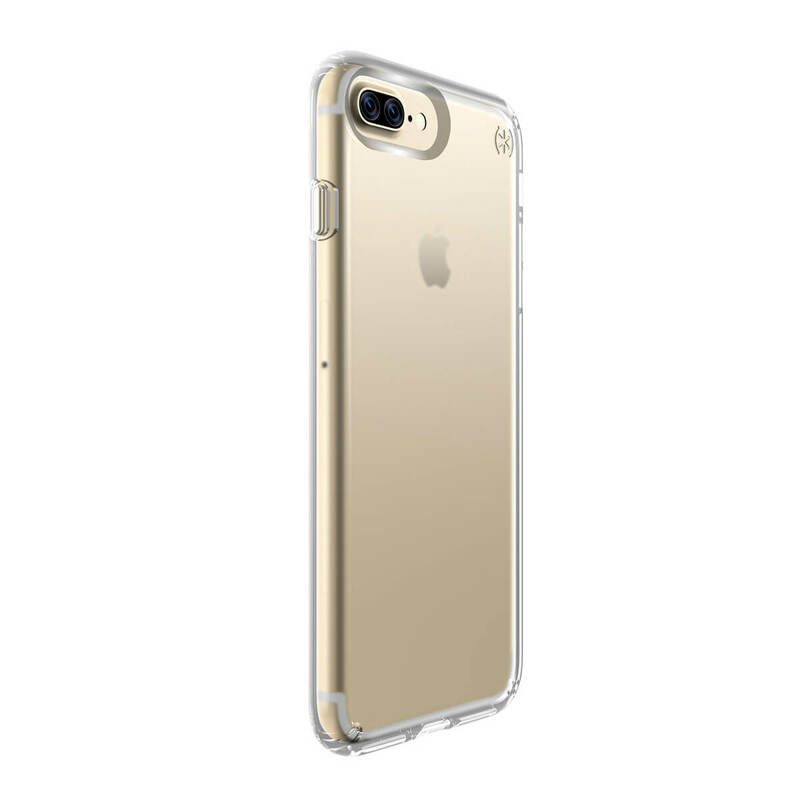 The Speck Presidio™ CLEAR is a premium clear iPhone 7 Plus case with an ultra-slim design and superior impact protection. This case has a hard exterior layer that disperses force and an interior layer that absorbs and disperses shock away from your device. If you're looking for the perfect birthday or Father's Day gift for the gadget lover, look no further. This case is sure to exceed his expectations. - 8-Foot Drop Tested. 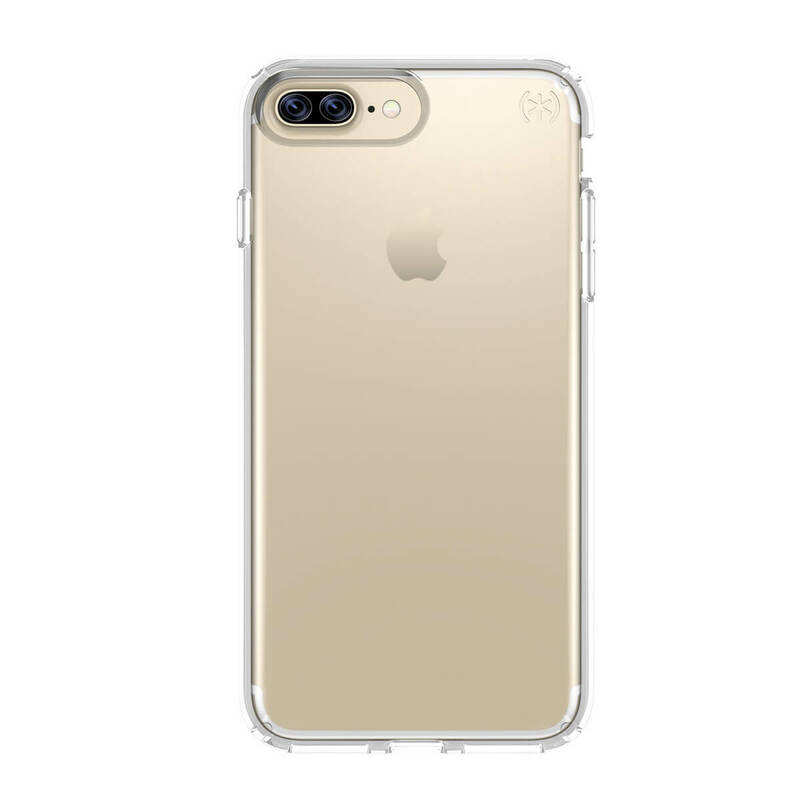 To ensure that Presidio™ CLEAR offers the ultimate protection for your iPhone 7 Plus, it has been dropped from a height of 8 feet multiple times by a third-party laboratory. - IMPACTIUM CLEAR. IMPACTIUM CLEAR is a dynamic shock-absorbing material that absorbs and disperses force away from your iPhone 7 Plus. - Dual-layer design. 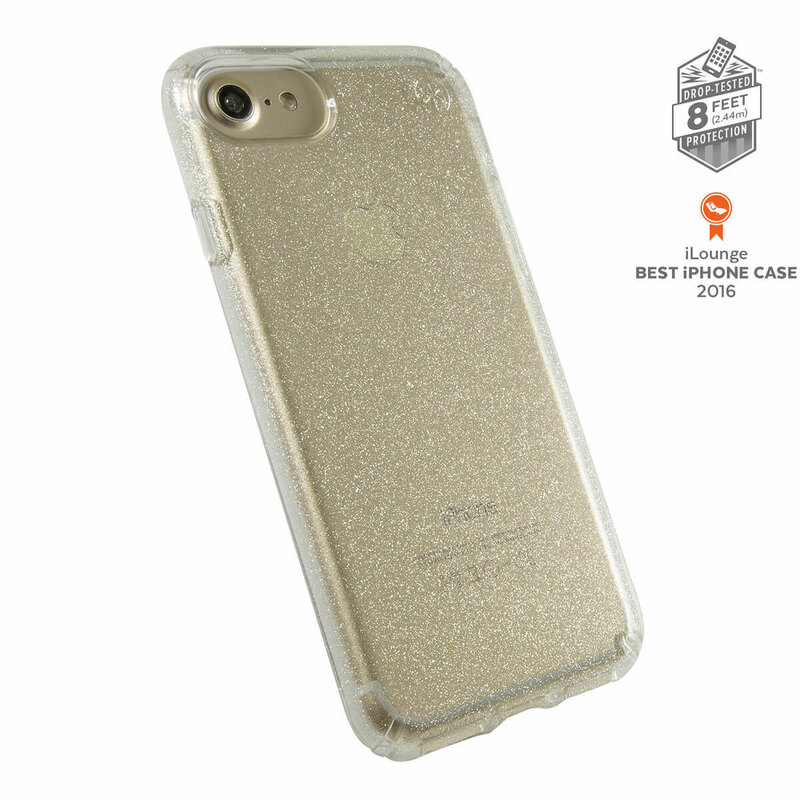 Presidio CLEAR features a dual-layer construction for robust protection. - Precision-engineered fit. 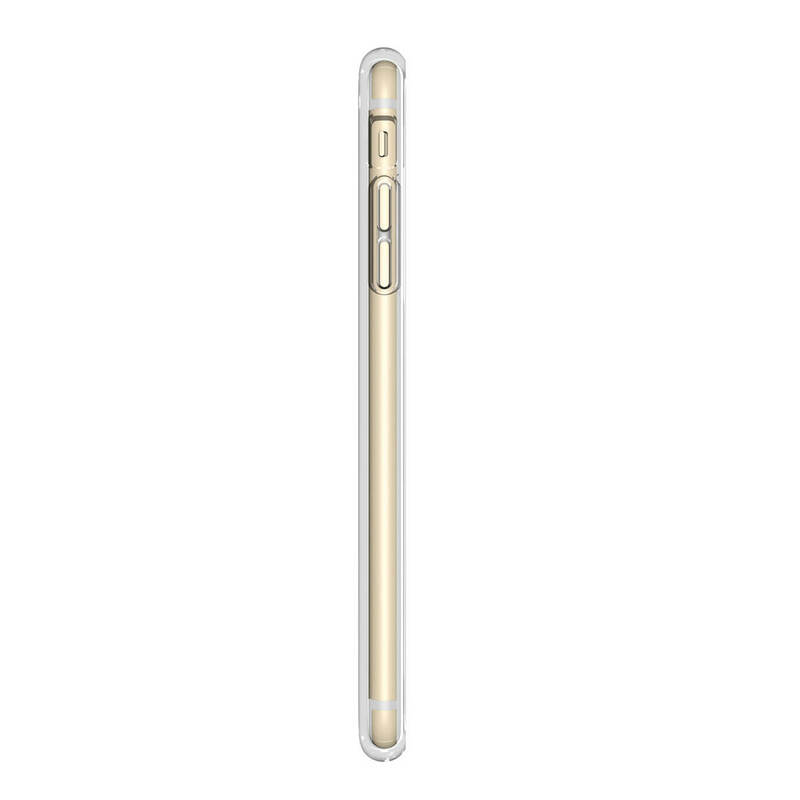 Presidio CLEAR is precision-engineered to fit your iPhone 7 Plus perfectly. - Scratch-resistant. 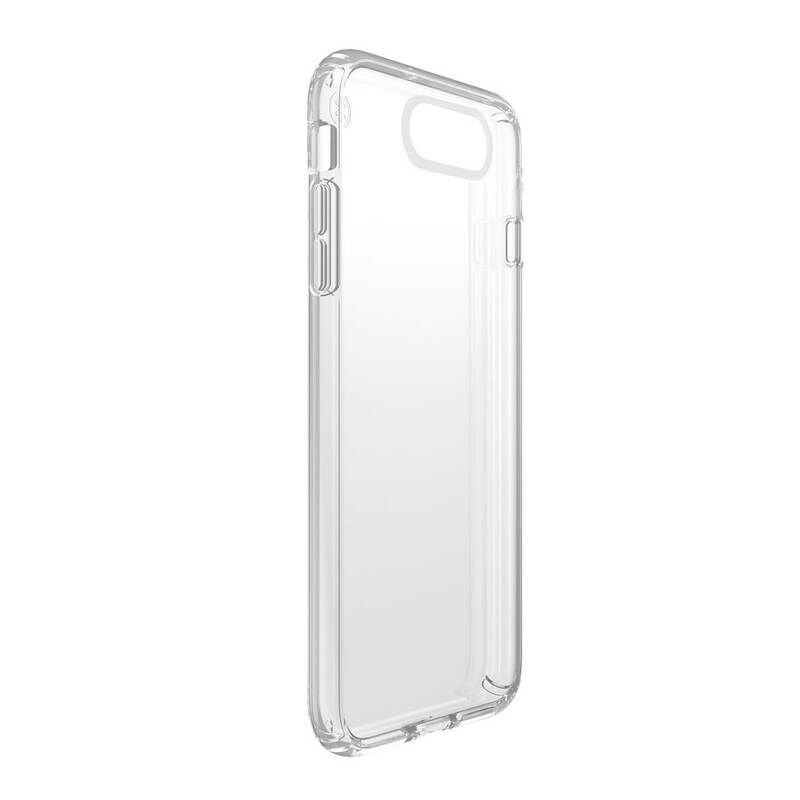 Presidio CLEAR resists scratches and offers a modern style with clear glossy and matte black designs. - Resists UV Yellowing. Presidio CLEAR’s custom-engineered materials resist turning yellow when exposed to UV light from the sun.